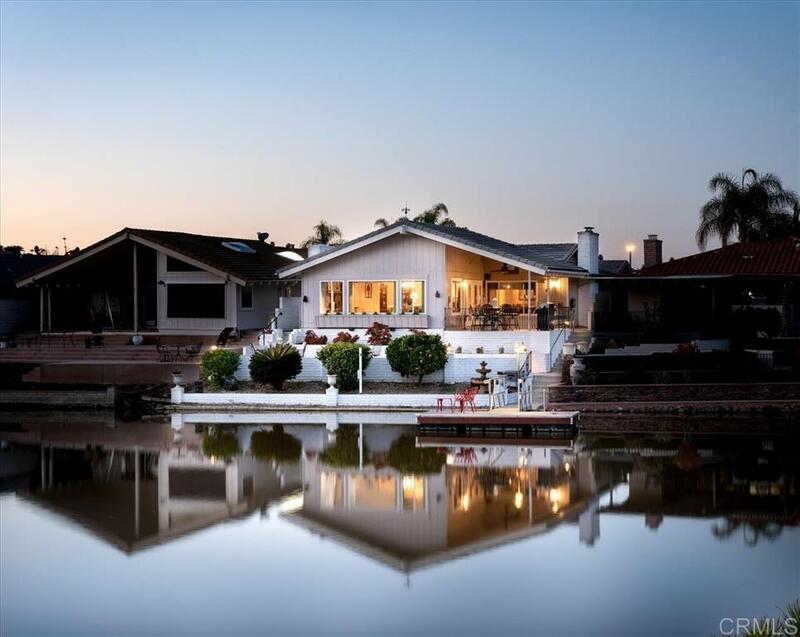 Come feed the ducks at this prime lakefront home on Lake San Marcos. Direct access to lake with boat dock. Watch the sunsets or gaze at the scenic mountain views while sitting on one of your two large private decks overlooking the lake. This well maintained home boasts a three car garage, open floor plan and vaulted ceilings, wall of large picture windows, and seamless indoor/outdoor living ideal for family and entertaining. Optional Dock Fee of $963.15 annually to moor your boat on the dock., Enjoy the amenities that the Lake San Marcos Resort offers including tennis, pickleball, golf, swimming, fishing and lots of social activities.